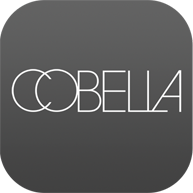 With over 3 decades of world class hair care experience and numerous International and British Hair Awards, Cobella know how important your hair is to you. Visit our salons for expert advice on your desired look. Whether you are looking to enhance your cut with highlights or a tint, de-frizz and smooth your hair with a Brazilian Permanent blow-dry, nourish your hair with an in-salon ritual treatment, style your hair for the perfect occasion or simply get that bouncy blow-dry, the Cobella team is at your disposal. Visit our hair extensions expert to strengthen your existing look or even drastically change your style.